Reolink may not be a familiar name, but the security specialist has been steadily building a comprehensive range of consumer and professional monitoring equipment since 2009. 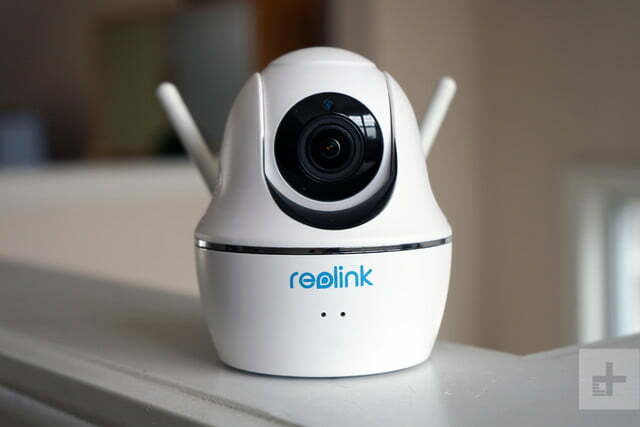 The Reolink C2 Pro ($105) is an inexpensive home security camera with several features that help this model stand out in a packed marketplace. While most smart cams are static, the C2 Pro is equipped with a pan/tilt/zoom (PTZ) feature, delivering an impressive field of view. A combination of 355-degree pan, 105-degree tilt and three-times optical zoom provides comprehensive coverage for all but the largest rooms. Elsewhere, 5 MP (2560 x 1920) imaging boasts (on paper at least) enhanced clarity over standard 1080p HD cameras, with up to 40 feet (12 meters) night vision range. On looks alone, the C2 Pro is certainly a contender. While other features, such as motion detection, smartphone alerts and two-way audio are tablestakes, a microSD slot for video capture is a reassuring addition for backup, or for homeowners who prefer to manage security locally. Consumer PTZ smart cams are reasonably rare and typically disappoint, with one exception. 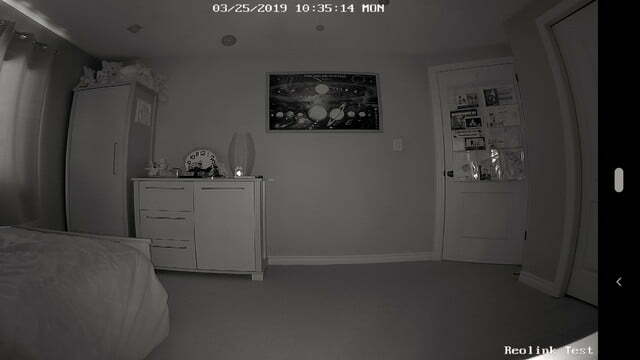 While devices like VTech HD Pan & Tilt Camera or quirky entrants like Guardzilla 360 fail to impress, the $25 (really) Wyze Cam Pan offers great performance and breakthrough value. Reolink will be hoping the C2 Pro’s enhanced mobility and imaging can compete. On looks alone, the C2 Pro is certainly a contender. Cute, compact, and curvy, Reolink’s camera certainly looks more friendly than the basic Wyze Cam Pan, although in hand, the plastics feel a little cheap and toy-like. Two rear antennas add a retro aesthetic, while on the rear of the camera, Ethernet, micro-USB power, and a microSD slot are easily accessible. The C2 Pro ships with a decent selection of accessories supporting a versatile array of mounting options. The camera’s sturdy base ensures a stable desktop position, but you’ll also find an included bracket, screws, and anchors for wall or ceiling mounting. A 3-meter, fully-detachable USB power cable is long enough to reach most positions, or for extremes, you can easily supply your own. 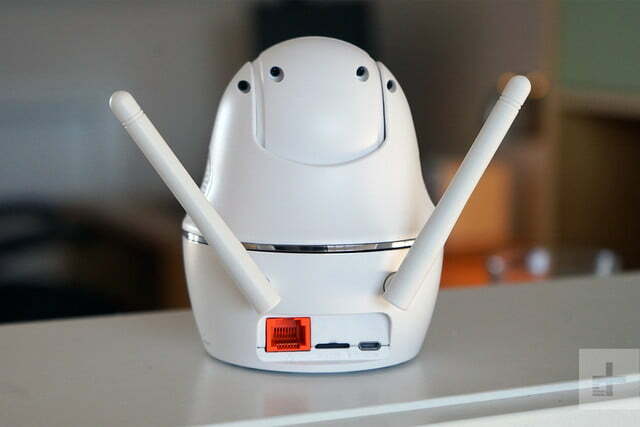 So far, so friendly – but smiles turn to frowns when it comes to connecting the camera to your home network. 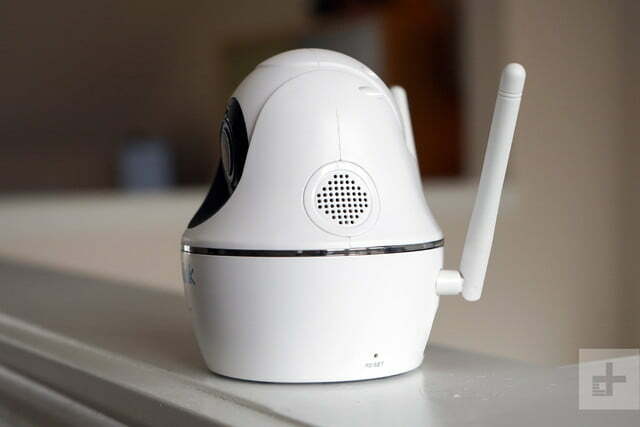 We’d expect a Wireless IP Camera to be set up over a wireless network, but the C2 Pro simply refused to connect to our Android smartphone out of the box. The C2 Pro simply refused to connect to our Android smartphone out of the box. 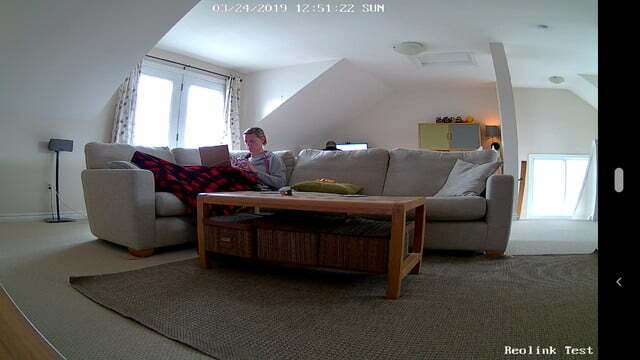 As such, we were forced to connect the camera to the router using the supplied Ethernet cable, which kickstarted setup and allowed us to configure the wireless connection using the Reolink app. Not a significant task, but one that could trip up smart home novices expecting “fancy” Bluetooth connectivity. This unexpectedly retro installation process was an omen of what was to come. While most smart cams we review nowadays offer a paucity of configuration features, Reolink’s smartphone app and — wait for it — desktop management clients for Windows and MacOS are a throwback to the past. They’re a tweaker’s dream, but may be overwhelming for the “set and forget” generation. Open up the smartphone app and you can view the camera’s live stream with ease. Reolink has done a good job of ensuring basic features – recording, two-way talk and PTZ controls – are easy to use. 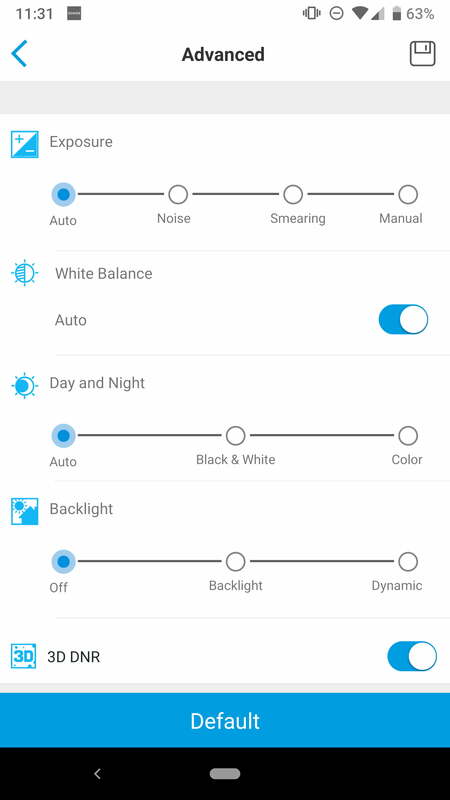 Drop into the settings menu however, and you open up a feast of options. 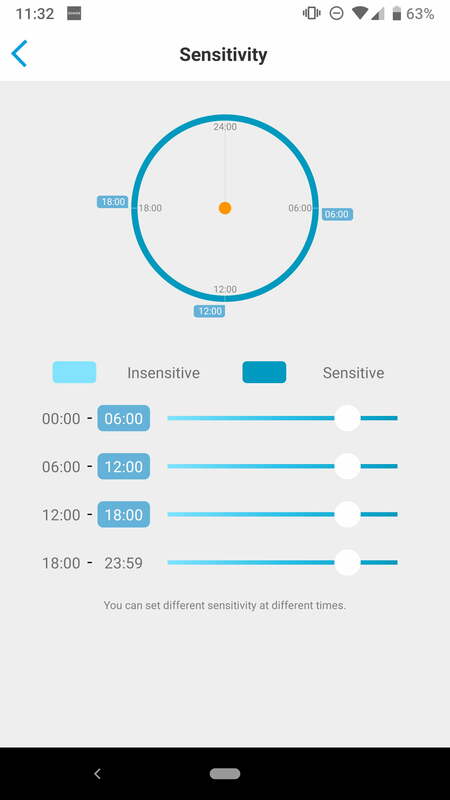 Advanced display controls allow you to play with white balance, backlight and resolution, while frame rate and bitrate settings, image mirroring, and rotation options offer an unnecessary indulgence. It’s been a while since I’ve had to configure a smart cam with SMTP email server details, but the C2 Pro has that option. Reolink’s desktop client takes smart cam management to the next level. In truth, it’s of most use to homes running multi-camera setups, or for those who wish to record video across the network to a connected PC or NAS. If you have a pressing need to keep track of your camera’s CPU and RAM load, then knock yourself out. Undoubtedly, there is a niche market for advanced smart home admins who will lap up the sheer wealth of configuration and camera management options presented by Reolink – particularly given the C2’s budget price. Wind the clock back ten years and we’d be bowled over, but when it comes to smart home management, mainstream users demand simplicity. Complexity doesn’t make the C2 Pro a bad camera, however. From an imaging point of view, it’s actually very good. 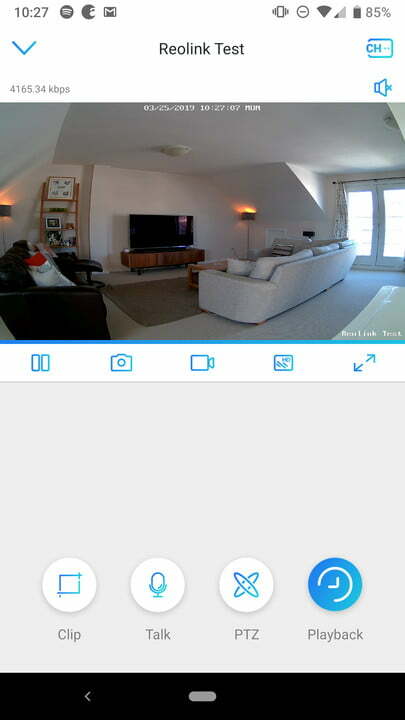 At its highest 5 MP resolution, the Reolink camera delivers a clear (if slightly too sharp) image that’s a noticeable step up from the budget Wyze Cam Pan and several leagues ahead of VTech’s PTZ model. The C2 Pro is blessed with a range of video storage and management options but they don’t include the cloud. Like most budget smart cameras, areas around windows in daylight are blown out, but otherwise, contrast and color are balanced and realistic. Night vision performs equally well – you’ll have no problems monitoring home security at night, with a clear, reasonably bright image and good range. There may be a noticeable fish-eye effect to maximize field of view, but in terms of absolute clarity, the C2 Pro is one of best performers we’ve reviewed, outpacing even the likes of Nest Cam IQ Indoor on quality. That alone is admirable in a $100 smart cam, but let’s not forget the C2 Pro’s PTZ features, which greatly extends the camera’s field of view. While Wyze Cam Pan tries its hand at intelligent motion tracking of detected objects with mixed results, Reolink keeps it simple with horizontal panning around an impressive 355-degree axis. Despite the cheap-feeling hardware, panning is very quiet with only a faintly-detectable whirr at close range. Although there’s room for improvement, we were mostly pleased with the camera’s responsiveness. 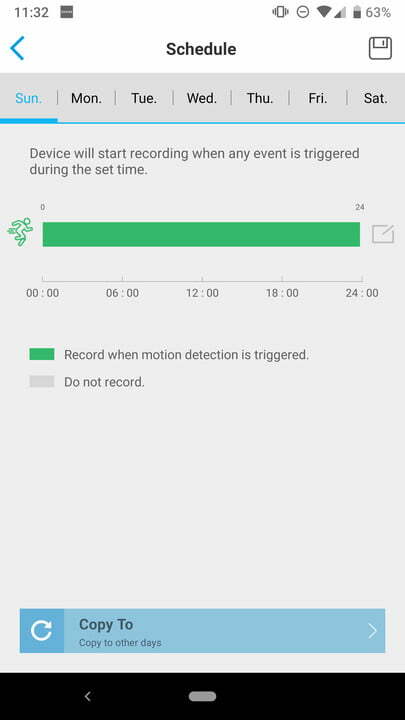 We found motion detection to be accurate and quick, with notifications received on our smartphone within a second or so. Manual panning and zooming from the app took a couple of seconds to react (even with a wired network connection), while the live video stream ran a second or so behind the real world. Importantly, all of the camera’s motor controls worked reliably, and the C2 Pro was able to adjust its focus on the fly without too much lag. As mentioned, the C2 Pro is blessed with a range of video storage and management options, but they don’t include the cloud at this point. Reolink does offer a cloud subscription service for some models, comprising paid tiers from $2.49 to $7.49 per month plus a free, 1GB basic plan with 7-day video history for a single camera, but it’s not currently available for the C2 Pro. Local microSD storage and network storage are available, but could be easier to setup. Once configured, however, motion triggered and timed recordings worked well. We loved the ease with which clips could be navigated, downloaded to our phones and shared with others. We’d expect cloud recording to be made available in due course, but it’s another reason that those demanding simplicity and convenience may wish to look elsewhere. Elsewhere, the C2 Pro benefits from two-way talk – with the usual limitations on the quality of the camera’s integrated speaker, which means you’ll only use the feature when you really must. Audio capture was mostly clear, if a little quiet. Alexa? Google Assistant? IFTTT? Forget about it. 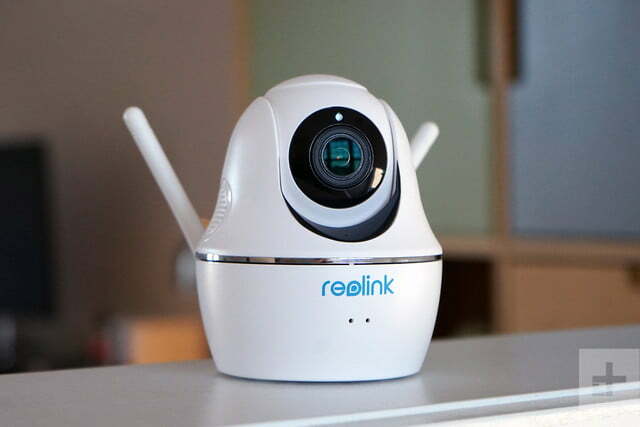 The Reolink C2 Pro is protected by a generous two-year warranty – double the cover you receive with many smart cams. Overall, the Reolink C2 Pro is somewhat of a mixed bag. Fabulous image quality, responsive operation and smooth PTZ control at a price point of around $100 adds up to incredible value. But you can’t help feeling that the camera’s supporting services and user experience are somewhat out of date. Few smart cams at this price point deliver the image quality, tweakability and overall value of the C2 Pro – but most edge Reolink’s device on sheer convenience. At just $25, Wyze Cam Pan can’t quite deliver the image quality or clarity of the C2 Pro, and has a couple of rough edges, but it’s undeniably great value. 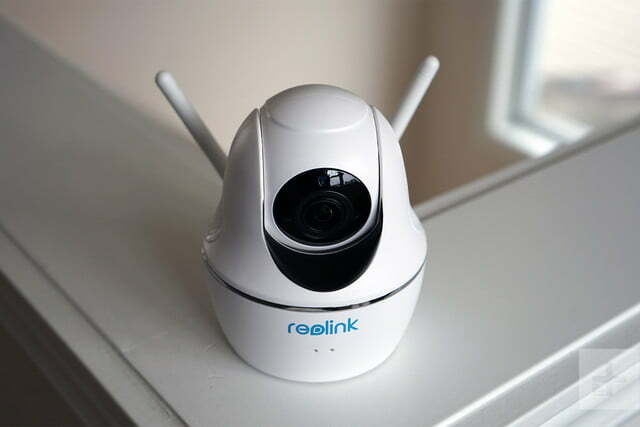 While Reolink may not be a well-known brand, it’s built up ten years’ experience in smart security and offers a comprehensive range of products. The C2 Pro’s plastics aren’t the highest quality but should survive a few knocks. Meanwhile, Reolink are delivering firmware updates for the camera, but these are reasonably tricky to install, requiring the use of a desktop software client. The Reolink C2 Pro offers good value, great imaging quality and a swathe of tweakable settings that will delight advanced smart home admins. It’s not the slickest camera around, and a lack of cloud recording is a big gap. 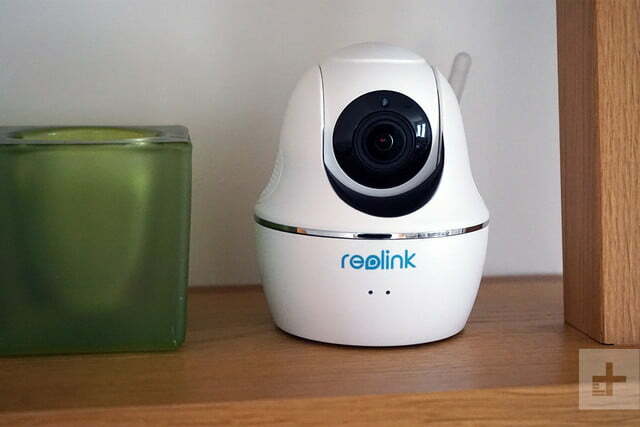 We’d still go for Wyze Cam Pan over this device, but the Reolink C2 Pro remains a good pick.